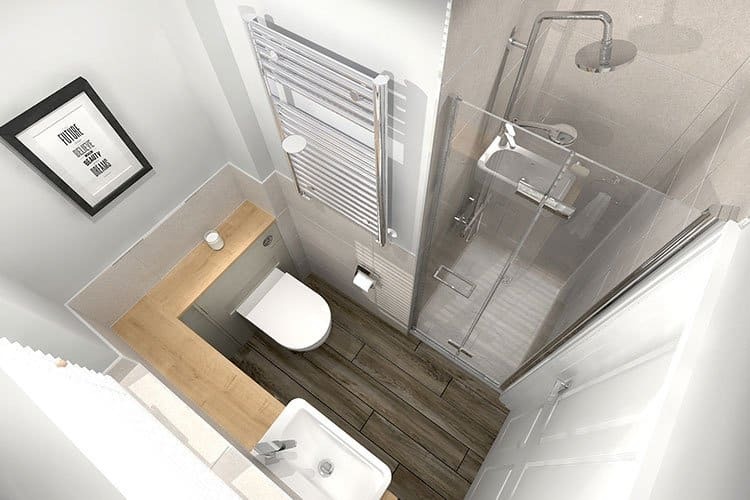 Our Bathe & Beyond bathroom specialist team are always on hand to assist you with your selection of suitable products for your own individual scheme, from the smallest of cloakroom facilities to large luxury bathrooms. 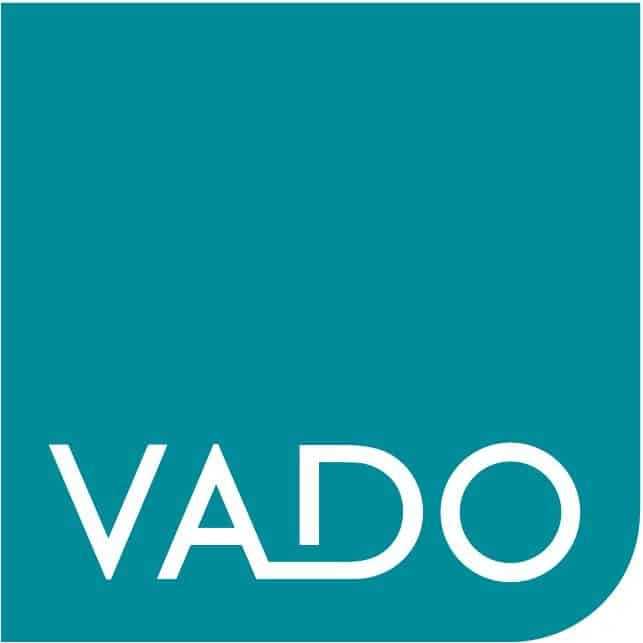 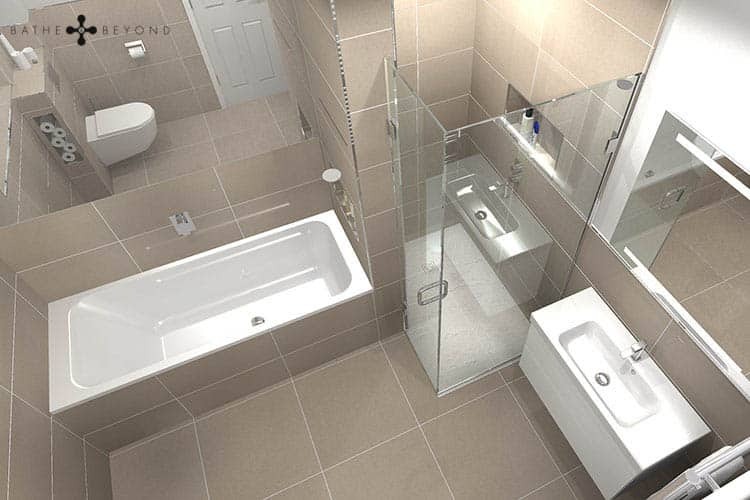 With years of experience in the bathroom industry, our bathroom specialists can help you plan your bathroom, to your taste and budget. 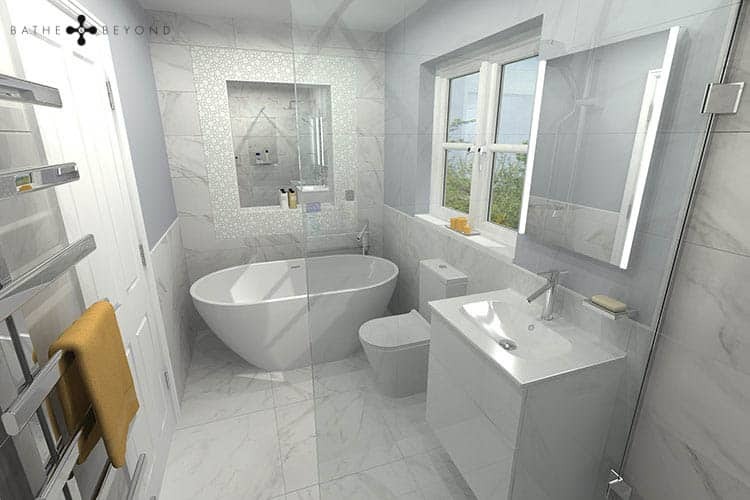 Simply fill in our “Design Enquiry Form” with your bathroom measurements and they can help you visualise your bathroom using the latest 3D software Virtual Worlds. 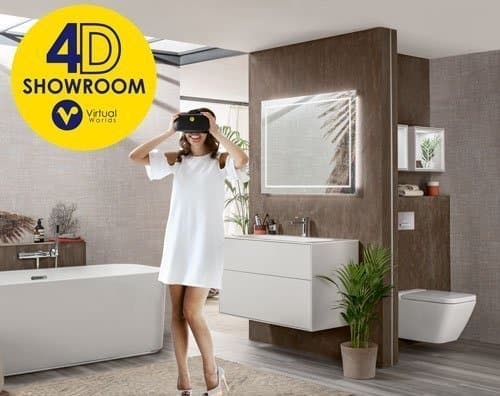 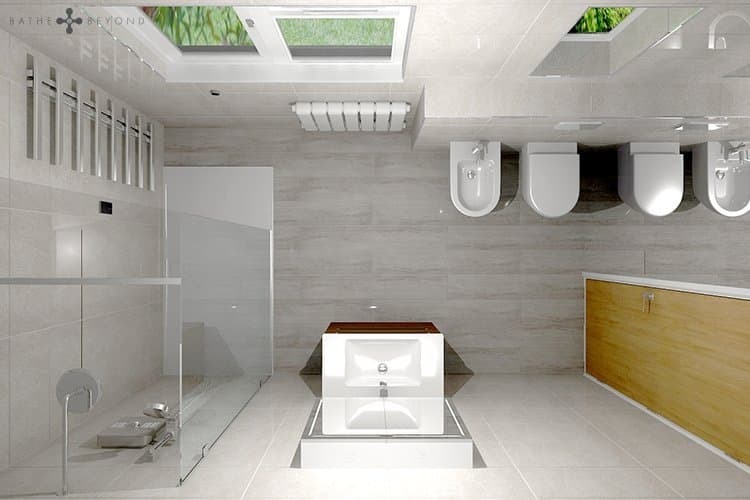 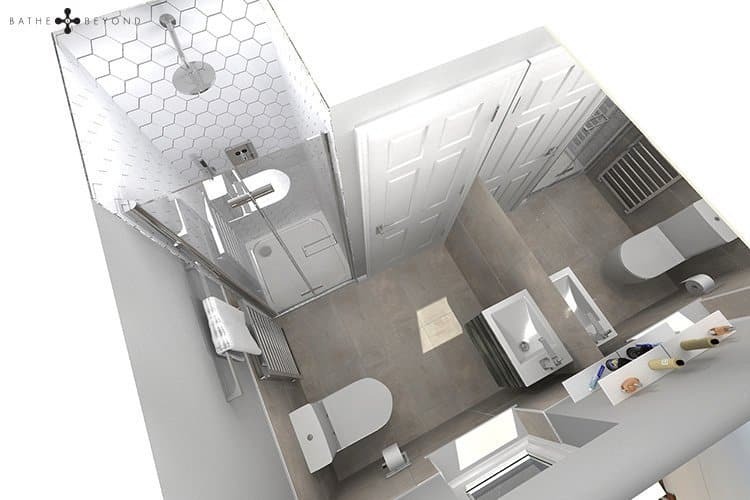 We are also able to offer you a 4D bathroom design service, where you can immerse yourself in your new bathroom and literally “try before you buy”! 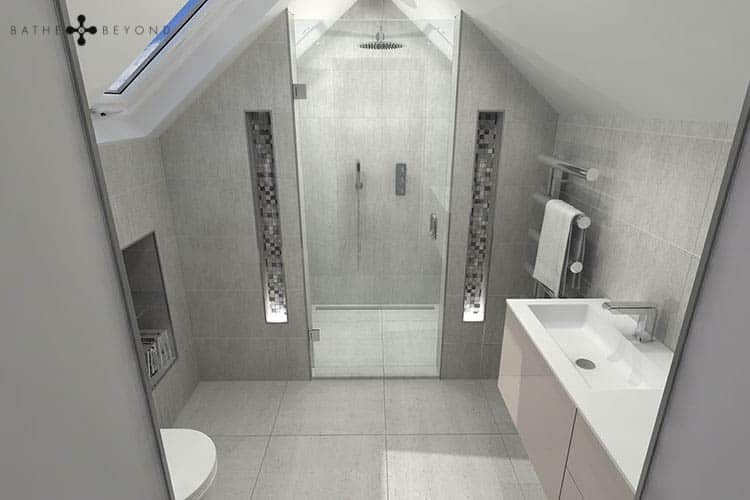 This loft ensuite features a compact yet fully functional shower enclosure and space saving vanity unit.